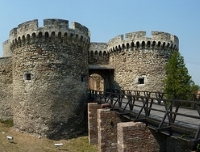 Some of Belgrade's most popular attrations for visitors are concentrated on the rocky ridge of Kalemegdan, site of the original fortified city, which overlooks the confluence of the Sava and Danube rivers. The neighbourhood is now split into two beautiful parks, namely the Great and Little Park, and play host to Belgarade's ancient fortress, a zoo, art pavilion, observatory, planetarium, a Roman well, the Military Museum and some lovely walks. Throughout the year, a rand of sporting, cultural and arts events are held in Kalemedgdam and it is a popular attractions amongst Belgraders and visitors of all ages.